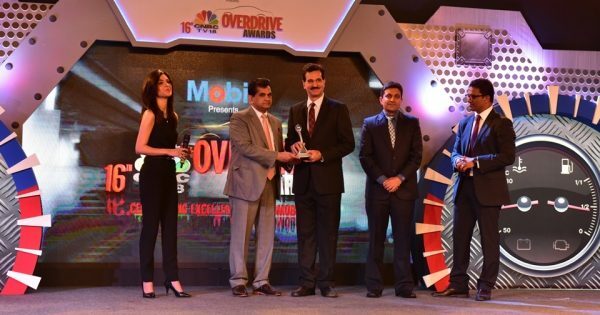 Mumbai, India: The Datsun GO+ has been named UV of the Year at the 16th CNBC-TV18 Overdrive Awards. The prestigious prize was handed over at a ceremony held in New Delhi. The jury comprised of renowned industry experts. They made their evaluation based on build quality, ride and handling, styling - interior and exterior, value-for-money, engine and transmission and fuel efficiency. The Datsun GO+ created a new market segment when it was launched as India’s first compact family wagon. Its spacious 5+2 seater interiors and engine capacity of 1.2L were key factors in clinching the award. Datsun Go+ also boasts best in class fuel economy of 20.62km/l, as well as the lowest Total Cost of Ownership (TCO) amongst its competitors.